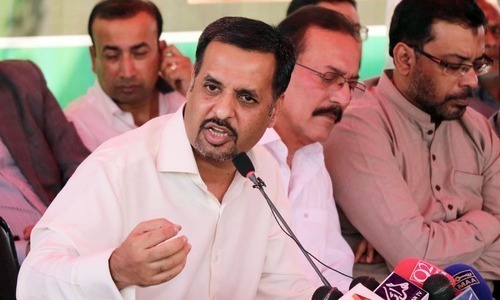 KARACHI: Heaping scorn on the rival Muttahida Qaumi Movement-Pakistan leadership, Pak Sarzameen Party chairman Mustafa Kamal publicly confirmed the establishment’s meddling in politics for redrawing Karachi’s political landscape when he said on Saturday that the meeting between the two parties that resulted in a fragile political alliance had been arranged by the powers that be. 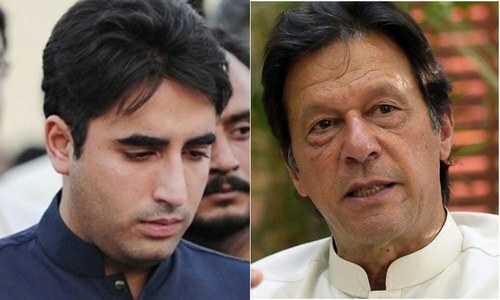 But at the end of a lengthy press conference that was filled with emotions and counter-accusations, he invited Dr Sattar and his colleagues to sit together for talks “in front of [TV] cameras” for ensuring peace in Sindh and Karachi — an offer casually accepted by the MQM-P which said it was ready to forge an alliance with “all political forces” for the sake of peace. It all began on Nov 8 when the MQM-P and PSP announced together forging a political alliance and to contest next elections from one platform and on one symbol. Following the announcement cracks appeared in the MQM-P ranks who thought that the move would actually lead to disbandment of their party. The next day the MQM-P clarified that they only agreed upon a political alliance and not an electoral one. 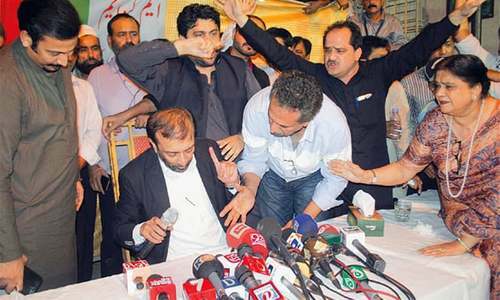 At a late-night press conference, Dr Sattar, while making it clear that his party would not merge with the PSP, cautiously criticised the establishment that their political engineering would not work. He also said that from his side the deal with the PSP remained intact. 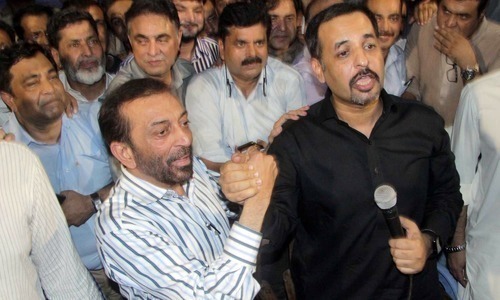 On Saturday, Mr Kamal confirmed that the establishment was behind the political alliance but claimed that the powers that be arranged the meeting with the MQM-P at a safe house on the request of Dr Sattar, who he said had been trying for the past eight months to get the PSP merged with his party with the support of the establishment. He said that following the Nov 8 developments an impression was created by Dr Sattar, Sindh Governor Mohammad Zubair and Railways Minister Khwaja Saad Rafique that the PSP was the party of the establishment and that the MQM-P was forced to enter into an alliance with it. He said he had the copy of an agreement written by MQM’s Khwaja Izharul Hasan in which modalities of the political alliance were decided. He said that he was meeting the Pakistani establishment and not the Indian establishment, but he was not their “agent”. He said it was because of his meetings that 70 “missing” persons who all were MQM workers returned home. 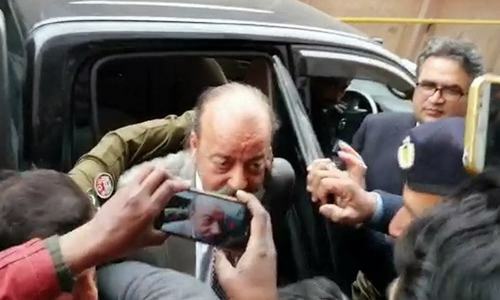 He said that the establishment was behind political wheeling and dealing since they were convinced MQM founder Altaf Hussain was an agent of Indian intelligence agency RAW and they “liberated” Karachi from the agents of RAW. 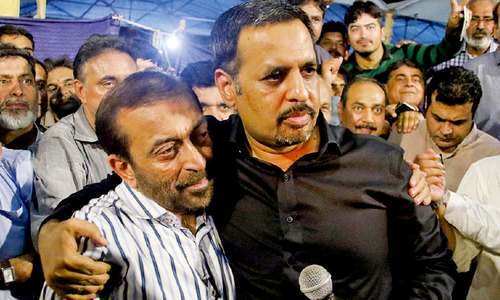 The PSP chief, who is a former Karachi mayor, said that the MQM-P itself was backed by the establishment since the party was created on the night of Aug 22 last year in the office of a senior army official. He said that no allegation would deter him from serving the people of Pakistan. “Farooq Sattar should have called if he did not understand some things,” he said, adding that he had no enmity with him and he would disband the PSP but would never fight. 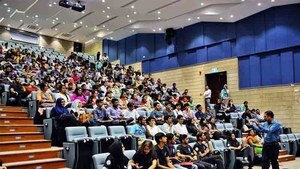 “There is no deadlock and despite all this I invited Dr Farooq Sattar and his colleagues that we are ready to talk in front of cameras for the sake of a durable peace of this city, province and the country,” he added. Later, the MQM-P held a press conference and said that it would not leave its identity at any cost. Commenting on the PSP chairman’s presser, Faisal Subzwari of the MQM-P said that he had “wasted” a key opportunity because of his “irresponsible” attitude. “Despite this, we are ready to forge an alliance with all political forces for peace,” he said. He said Mr Kamal on the day of the joint press conference repeatedly said that the MQM was the party of Altaf Hussain and RAW agents, but today he said the MQM was created by a senior army officer. 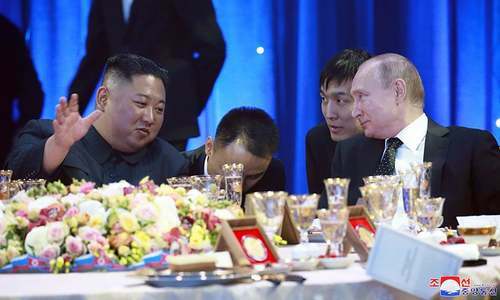 “Then why did you sit with such a party?” he asked. Dr Sattar and a number of MQM leaders visited the Yadgar-i-Shuhada (Martyrs’ Monument) in Azizabad and offered Fateha for those workers and supporters killed over the years. The party cancelled its planned rally due to “unavoidable circumstances” and announced in the early hours of Saturday morning that only Dr Sattar and coordination committee would visit the ‘Martyrs’ Monument’. Since morning, police and district administration placed containers on roads leading to the monument in the Jinnah ground. A contingent of Rangers also arrived there. The entourage of Dr Sattar was stopped at Ayesha Manzil, where a large number of workers and supporters were already present. After brief negotiation, they reached the Mukka Chowk, where Dr Sattar addressed his workers. Later, accompanied by parents of slain MQM leader Dr Imran Farooq he along with Karachi mayor Wasim Akhtar and other party leaders and elected representatives marched towards the monument and offered Fateha. Party workers were, however, not allowed to go beyond the Mukka Chowk. Spill beans’ means that the establishment wanted to hide the-now known fact that it had a role in bringing MQM - P and PSP together for an alliance. In my opinion it sends an incorrect message, the question is , had Mustafa Kamal given the information to spill the beans and invite their scorn on him ?. 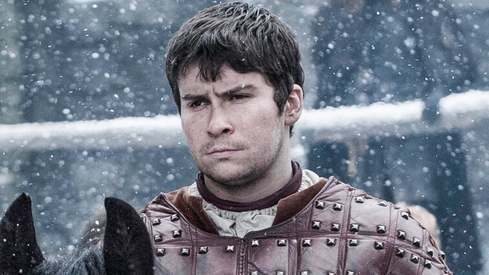 The answer is stark NO.He had simply told the truth probably with consent. The real question is why MQM had felt a need to forge an alliance with PSP ?. Was it a political move to finish PSP as a potent rival in future and to avert a continuous decline in MQM vote bank?. The outcome seems to be that the MQM now knows that it cannot forge an alliance with its present name.The next Political move is again likely to be initiated by MQM - P.
We must appreciate anybody help to maintain peace in Karachi, bringing two adversaries at table is good step.